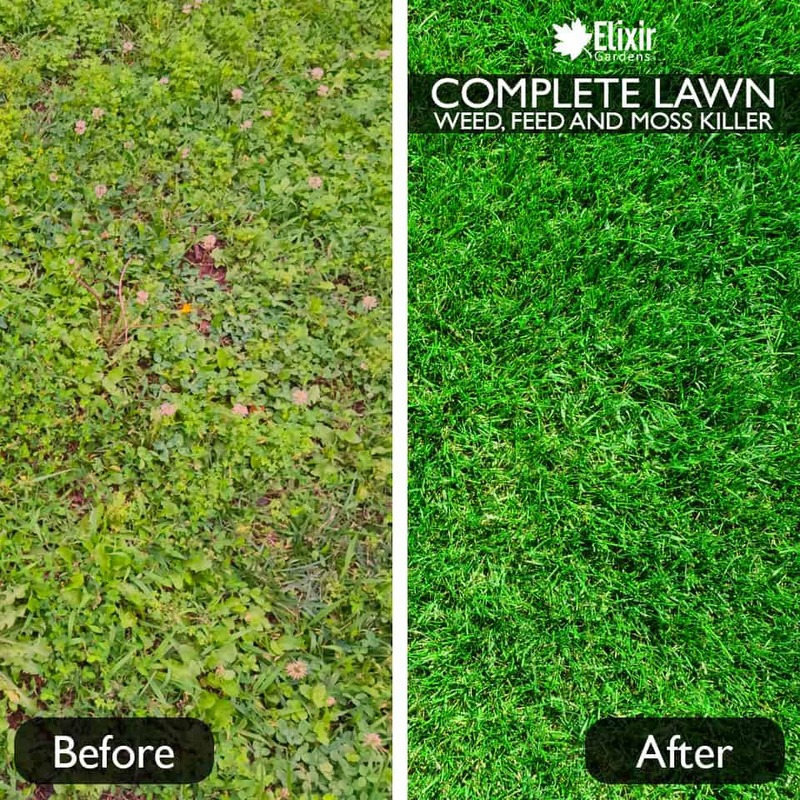 Elixir Complete Lawn is tough on weeds. 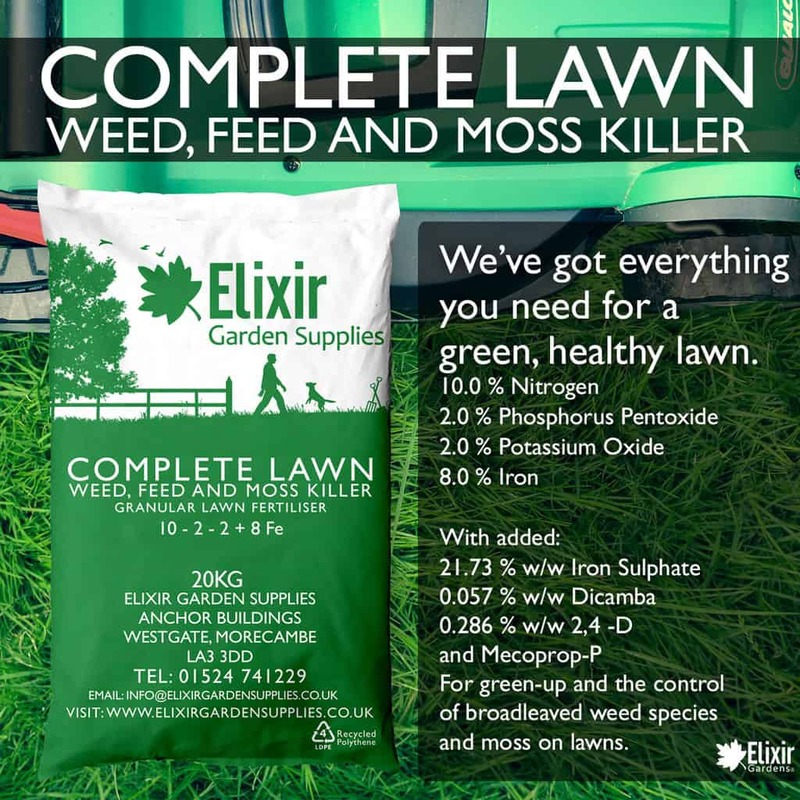 With a mixture of 3 specially selected weedkillers, including Iron Sulphate, Dicamba and Mecoprop, for the control of broadleaved weed species and moss on lawns. 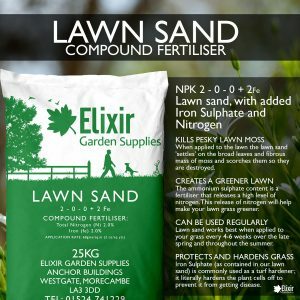 One 20kg bag of Complete Lawn will cover upto (or over) 625m squared! 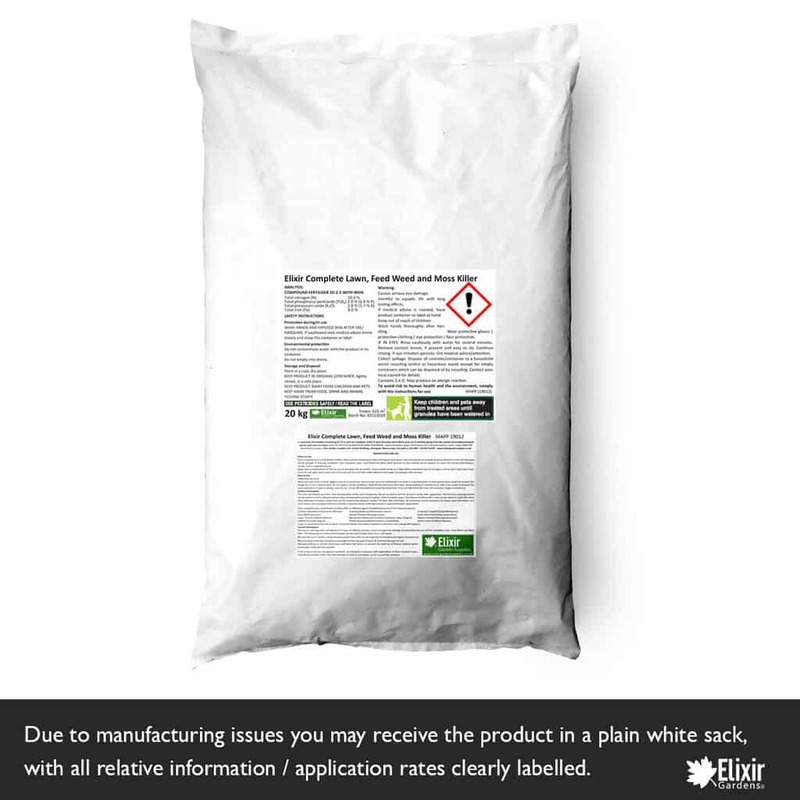 A granular moss control product, easily spreadable by hand or conventional spreaders. 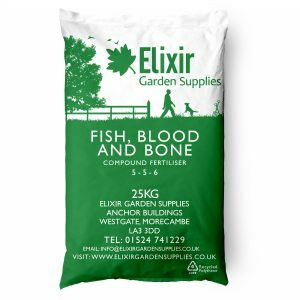 Made in co-operation with the one of the UK’s leading fertiliser manufacturers, ensuring you are getting only the highest quality product. 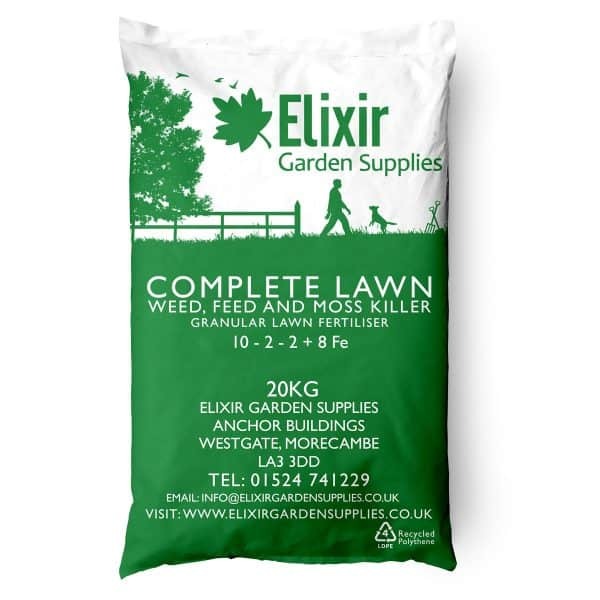 Elixir Complete Lawn, Feed Weed and Moss Killer is effective against: Common Dandelion, Creeping Buttercup, Creeping Cinquefoil, Daisy, Greater Plantain, Bird’s-foot trefoil, Lesser Trefoil, Mouse-ear Chickweed, & more! For the control of broadleaved weed species and moss on lawns. Mark out areas to be treated. Apply evenly at 32 grams per square metre over the marked area by hand. 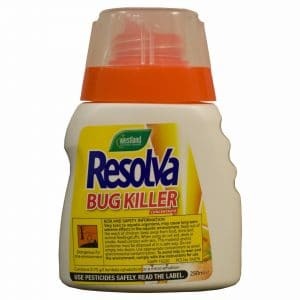 It is good practice to wear gloves when using this product although this is not a requirement. Do not apply in windy conditions. Keep off skin and away from eyes. Avoid walking on treated areas until it has rained or product has been watered in. 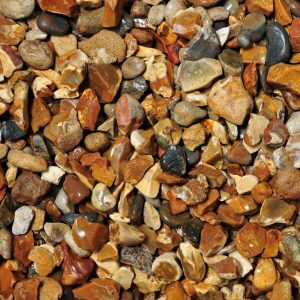 If spilt on paving, concrete etc., brush off immediately to avoid discolouration. If no rain falls within 48 hours of treatment, irrigate treated area. Large or perennial weeds may re-grow. Persistent weeds may require repeated treatments once new growth appears. The key to reducing moss and weeds is to have an effective all-year round management strategy incorporating the use of Elixir Complete Lawn, Feed Weed and Moss Killer. 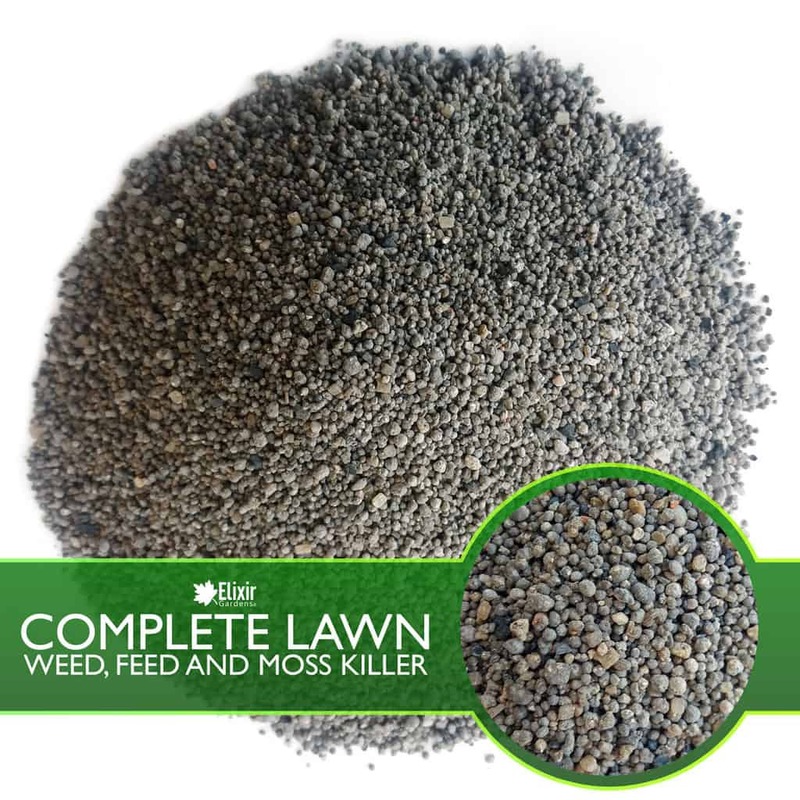 • Ensure the turf is healthy, weed, disease and pest free. 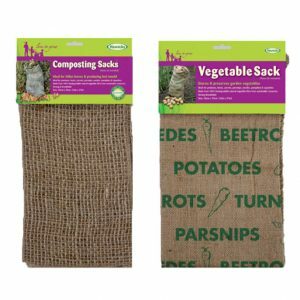 This can be helped by fertilisation and regular maintenance. • Soil aerating of the lawn to help to encourage the free passage of water & nutrients through the soil. Raking/scarifying to remove dead moss and fallen leaf debris to prevent the build-up of fibrous material which encourages weed and moss growth. 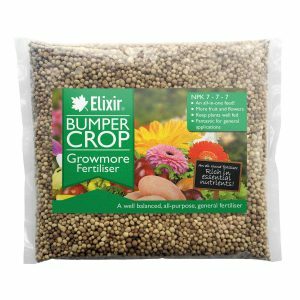 If all of these cultural management practices are followed in harmony with applications of Elixir Complete Lawn, Feed Weed and Moss Killer then the reduction of mosses and weeds can be successfully achieved.